August 6, 2014 in Articles, Features. We are sitting in the quiet quadrangle of Casa da Torre. There is the sound of birds in the distance. In the centre of the square is a white statue of Saint Mary, mother of Jesus. 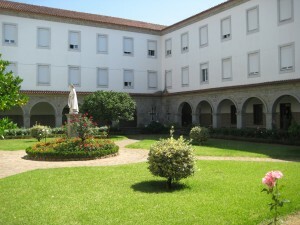 The Casa da Torre is situated four miles north of Braga in Portugal and is a Jesuit centre for Spirituality and Culture. We are attending Ringu Tulku’s summer camp and people from many different countries have arrived to listen to the teachings on Mahamudra – The Moonlight by Dakpo Tashi Namgyal. On the bench beside me is Tanya: born in Croatia, having been brought up in Bosnia before moving to Serbia, she speaks to me in perfect English and in a pleasing Eastern European accent, I like to say I’m from Yugoslavia. I met Ringu Tulku Rinpoche in Boulder, Colorado where I lived for about eight-years or so. I met him in 1998. 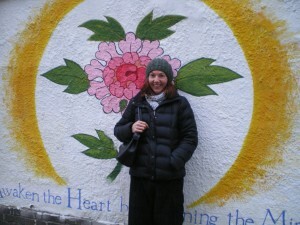 Tanya was there with her husband who wanted to study at Naropa University. Not being interested in Buddhism at that time, although she was interested in studying dharma while he studied, Tanya worked as a nurse in a hospital. However, she did meet some of the senior students of Chogyam Trungpa Rinpoche while she was in Boulder, but because of her lack of English at that time, her understanding of Buddhism was limited. This is where she met Ringu Tulku Rinpoche during one of his annual teachings at Naropa University. About taking refuge, Tanya remarked, I took refuge, actually, not with Ringu Tulku Rinpoche, with with one of the senior students of Chogyam Rinpoche in 2000. Tanya continued her work as a nurse at the weekends while undertaking study at the University. 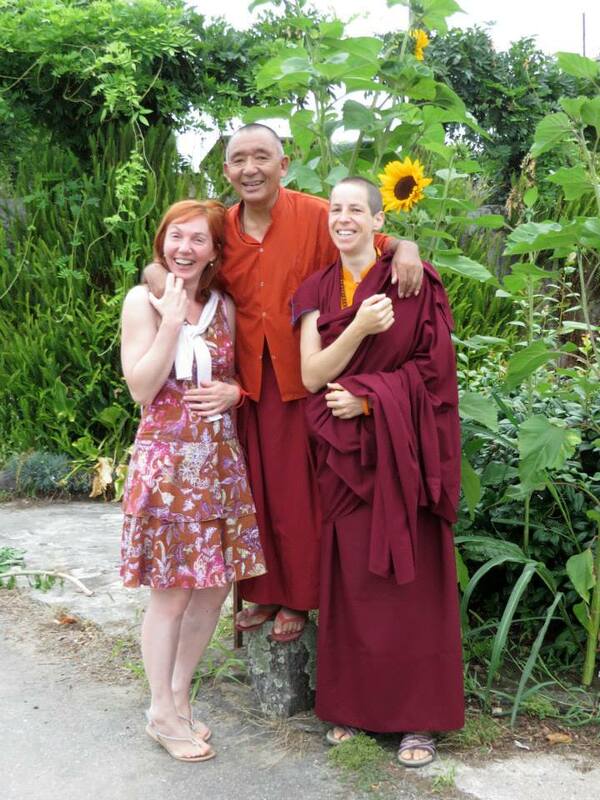 Since leaving the US eight-years ago, Tanya hasn’t worked as a nurse, but during that time did a three and a half-year retreat with Rinpoche in Sikkim. The schedule was very strict and we tried to follow as much as we were able to with a little modification that was done by Ringu Tulku and H H Karmapa. There was a little less yidam practice and a little more Mahamudra and the six yogas of Naropa. During this time, Tanya didn’t leave the retreat. I was lucky not to have to leave for a visa or for health reasons like some other people. Although seventeen-retreatants began, only eight finished. At the end of her retreat, Tanya says, I was ready to leave. I thought it was OK to finish at that time. I was happy to see my family. For some time after leaving the retreat, Tanya felt like going back and doing another retreat. She recalled, After the first year which was very difficult, the second and third years were just, more or less, pure joy. Not having to worry about anything but your practice, at some point, becomes really joyful and beautiful. So yes, of course, after that you meet the outside world which is a little harsh, anyway, you want to go back. But that’s not the way for everybody – maybe for some people. About events that were taking place outside of the retreat, Tanya says, We knew that in 2008 there was the election in USA, so Rinpoche kept us informed. A few other things like that. Because I think he knew this was the first traditional Three-Year Kagyu Retreat for western students in India, and so far, the only one,, I think Rinpoche got a little advice also from H H Karmapa on how to handle this retreat, not to be cut off from everything. So he kept us informed a little bit, allowing a few letters here and there. Normally, these things are not happening in a three-year retreat. but I think he was very skilful in making things possible for us. About where her life was coming from and where it was going, Tanya says, We didn’t meditate on it. I don’t understand karma in that way. For me, I understand karma in a more immediate way, like what is happening now. That’s karma for me. Tanya couldn’t see much connection with the past and what was happening now and also in the future. I don’t know. It’s just immediate in a way. It’s a little bit of both [seeing plans for the future or just taking things as they come]. Of course, I have preferences and wishes, all of that, but also at the same time I try to see what is possible, which door opens, in a way. Next week I’m moving back the the US because it’s been some time since I wanted that and it came in a formal invitation from a friend. She made it possible so I will go and see what happens there. About the future, Tanya’s expectations have taken on a philosophical disposition. I have lots of expectations about things: being positive or negative or cynical, it doesn’t affect the course of my life much any more because all of these things…sometimes it’s this one, sometimes it’s that one. It changes all the time, but I try to remember that however it may appear, it’s actually the same in nature. I think that is the main course of my life,l with my actions, with my practice. I really do as much as I understand. Can you measure happiness? Definitely! Not only measure, I can experience it too. I’m as happy as much as I can be. Not always…yes, I think I’m OK, fulfilled and happy. Rinpoche emanates that all the time. When the conversation turns to compassion in the context of Tanya’s experience as a nurse, she considers carefully and states, I really don’t know if I’m compassionate or not. Certainly, I can be sad about the suffering of beings, myself included, and everybody else. Certainly, I can recognise the need for help, as a professional, but also as a human being. I can recognise that. Whether that is real compassion or not, honestly, I’m not sure. As our conversation ends, a gentle silence falls and the birds singing outside of the walls of the monastery take on a poignant immediacy. We are back in the present again. People walk singly and in groups around the square courtyard and there is an ambient atmosphere of tranquility. Tanya, Lama Shenga and Ani Wangmo at the summer camp in Portugal. Tatjana Popovic-Thuret has been following Ringu Tulku Rinpoche since 1999. After spending some years in Sikkim and Brussels, she recently returned to Boulder, Colorado to continue her spiritual and professional path within the beautiful landscape of Rocky Mountains and local dharma sangha.